As if natural disasters aren’t enough, there are also concerns related to physical attacks on power infrastructure with several instances in the last few years. The case for a more robust and resilient grid has never been stronger. Aging infrastructure also makes the networks more susceptible to weather outages. In order to mitigate the impact of such events, electric grids needs to become more flexible, robust and allow a quicker response to outages through the use of technologies such as fault detection, isolation and restoration. Additionally, monitoring systems that perform complex functions, such as asset management, can greatly reduce capital costs and provide optimal grid efficiency. Solutions include the use of software, sensors, asset management programs and a shift in the way industry professionals approach resiliency from traditional crisis planning to resiliency planning - preparing the grid ahead of time to prevent a crisis. ABB has also launched the Substation Physical Security and Resiliency Initiative, which covers five strategic elements that will help utilities restore power as quickly as possible after an event that causes physical damage to a substation. These elements include Assessment, Hardening, Monitoring, Rapid repair and Rapid replacement. This initiative was conceived as a roadmap for any utility looking to develop solid disaster preparedness, response, and recovery plan, regardless of the type of physical disas-ter. ABB has introduced the AssetShield™ ballistic protection system to protect transformers, meeting the UL-752 level 10 performance. AssetShield™is a first-of-its-kind solution that provides armor protection to large power transformers and other substation equipment from ballistic attack and reduces ‘spalling’ in case of impact. There is no visual difference between standard transformers and those with AssetShield protection, with the latter not requiring any additional maintenance or replacement measures. ABB has won orders from three major US utilities for this innovative solution. The transformers supplied also feature Asset Shield tanks, dry bushings, impact sensors and automated cooling valves. 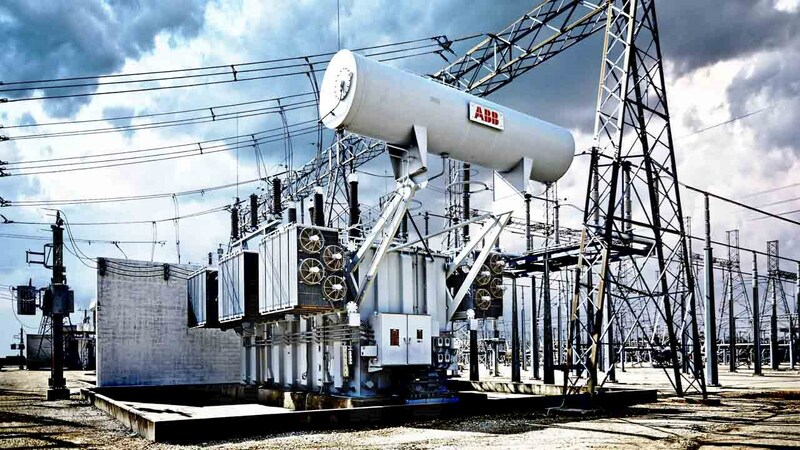 ABB’s TXtreme™ distribution transformer, which incorporates breakthrough technology designed to provide extra protection from harsh environments, can also help strengthen grid resilience. The unique coating, special processing and design criteria provide superior protection to distribution transformers so they can survive the elements and help reduce operations and maintenance costs because there is no longer a need to touch up or repaint the transformer due to corrosion. Additionally, TXtreme provides superior protection against leaks. In another instance, ABB’s generator-circuit-breaker (GCB) technology is protecting key equipment in the iconic Hoover Dam to keep power flowing for people in Arizona, southern California, and southern Nevada. The GCB clears potential harmful short-circuit faults in tens of milliseconds preventing severe damages and possibly lengthy plant downtime. The United States has over 200,000 miles of high-voltage transmission lines and thousands of substations and large electric power transformers. With operations including engineering, manufacturing and service locations throughout the country, ABB is committed to partnering with governments and utilities to protect the nation’s grid assets.